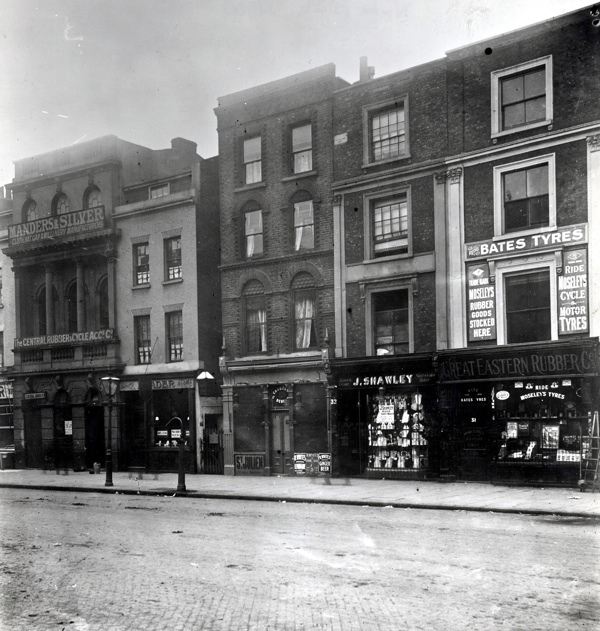 As part of the SAVE NORTON FOLGATE cultural festival, I am delighted to announce a trio of events in which three leading Dickensian scholars celebrate our greatest of nineteenth century novelists, whose works first reached the stage in Norton Folgate. 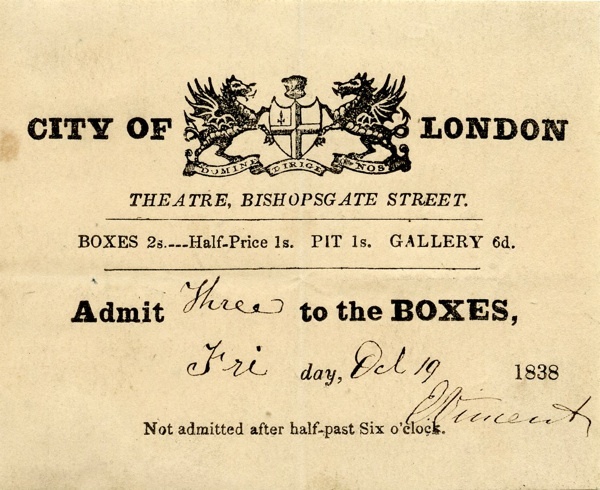 The very first stage version of any of Charles Dickens’ works took place in Norton Folgate at The City of London Theatre, which opened on March 27th 1837 with a production of The Pickwick Club or The Age We Live In. 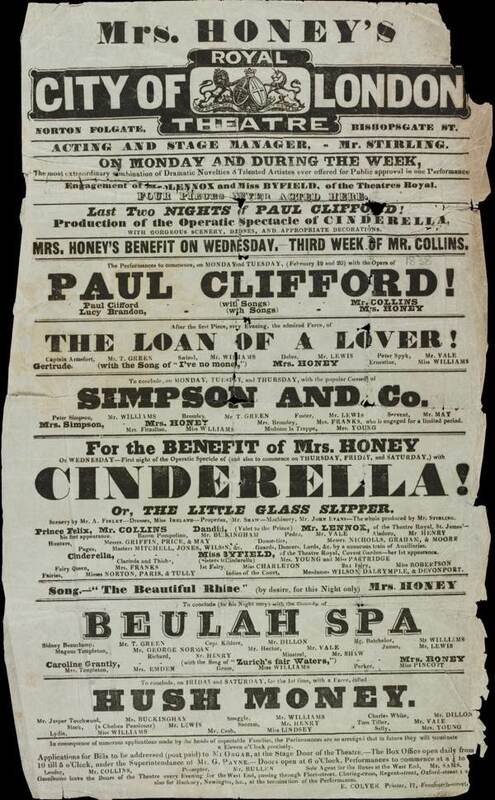 It was produced even before all the installments of the novel had been published, requiring Edward Stirling, the playwright, to expend some imagination in resolving his hastily-composed drama. 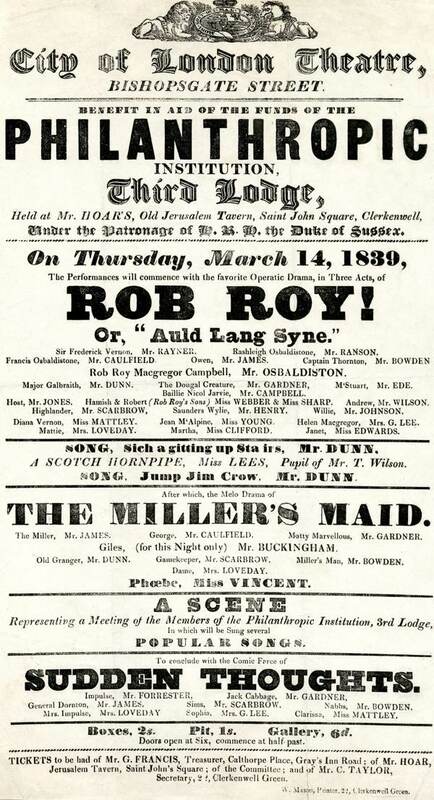 Designed by Samuel Beazley, architect of Drury Lane, and managed by Christopher Cockerton, The City of London Theatre was described as “the handsomest house in London” in 1837. Accommodating an audience of more than a thousand, it displayed an imposing facade onto Bishopsgate, dignified with tall Corinthian columns. 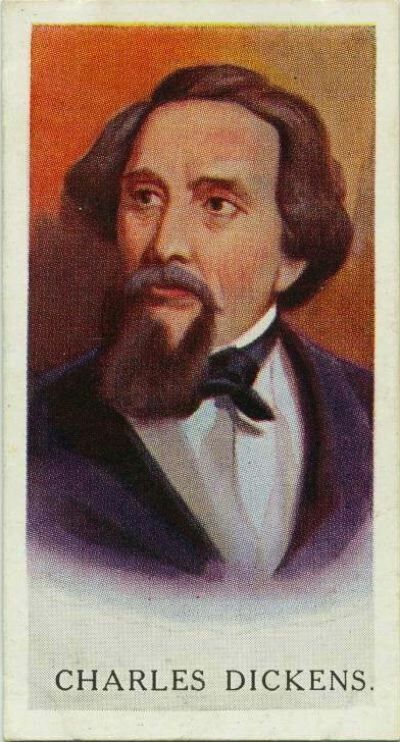 Their production of ‘The Pickwick Club’ was only the first of many pirated stage versions of Dickens’ novels to be presented throughout his long writing career yet – despite their author’s displeasure – audiences flocked to see these popular dramas. 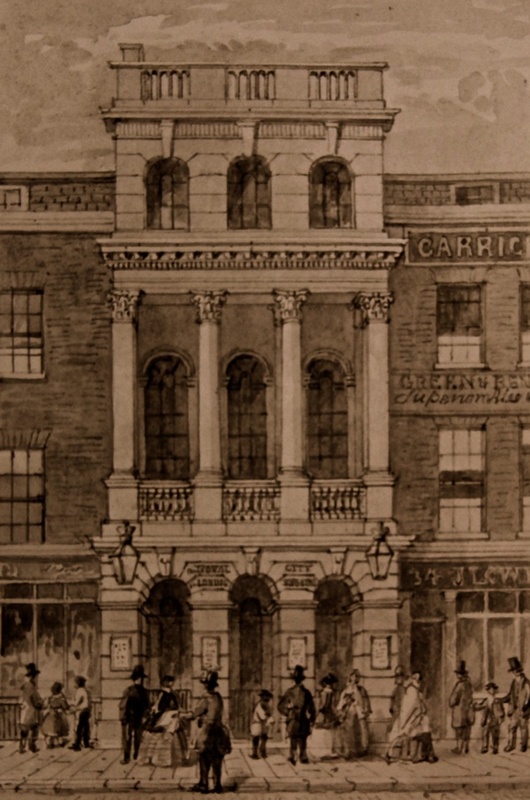 In later years, the theatre declined, largely due to the proximity of The Standard nearby in Shoreditch. 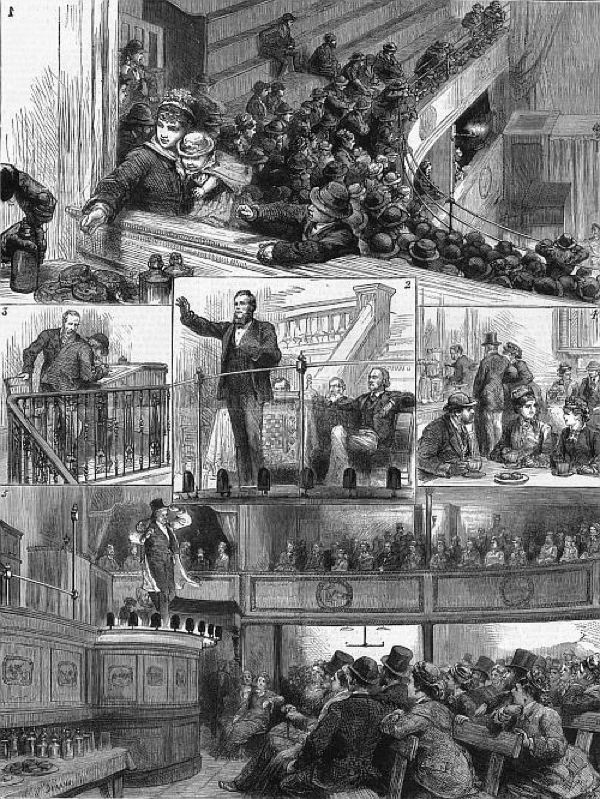 By 1868, it had become a Music Hall and finally, in 1870, it was converted to a Temperance Hall before being destroyed by fire in 1871. 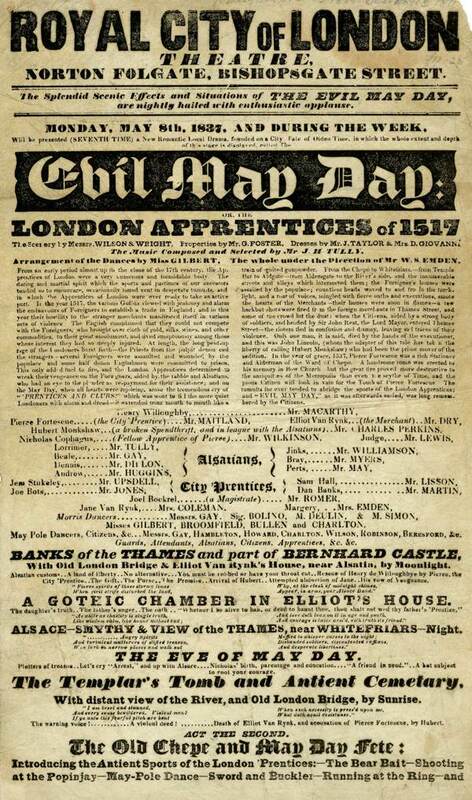 Yet The City of London Theatre in Norton Folgate deserves to be remembered for its early successes, as the location of the first flourishing of Charles Dickens’ works in dramatic form. I like the information you provide for talks such as these, but I live in deepest Essex so need to catch a train to get into London. A helpful piece of information would be an approximate time for the end of the the event so I can see if its feasible to get to an event and back (unless its in the posting but I’ve missed it!). London WAS and IS the Cultural Center of the World …! I love the titles of some of the performances. 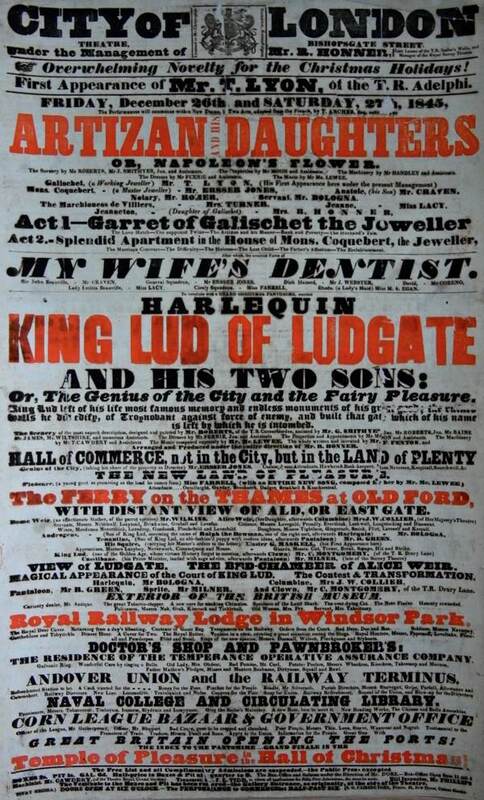 What on earth can ‘MY WIFE’S DENTIST’ have been? Thanks for yet more interesting history. 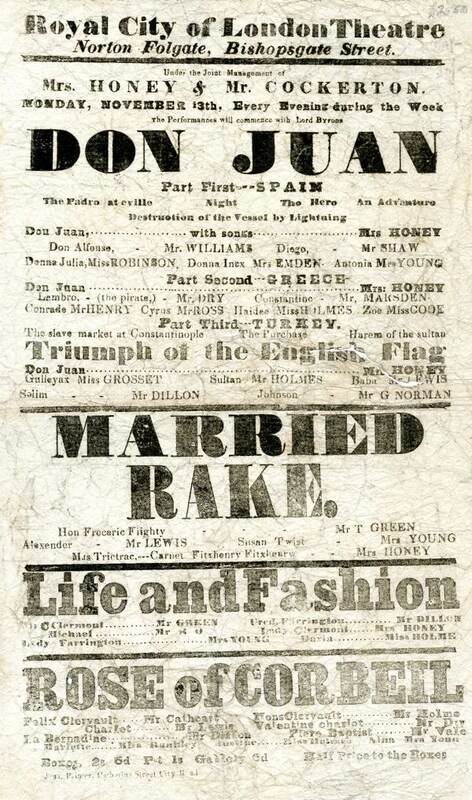 The thing that I found most interesting in the first playbill was the mention of “Jumping Jim Crow”. Now I knew that “Jim Crow” laws were made after the American Civil War to oppress people of color, so I wondered what this song was. It was apparently one of the first minstrel songs, sung in blackface and it started an entire trend. I hope that the campaign to save Norton Folgate is successful.